To see a Glass master moulding glass with fire, it is one of the most fascinating thing one can see. Shapes are born as if it was a magic: the fire, the blowing, the use of tongs, are the result of years of working and results of an art which has been passed from generation to generation for centuries. Murano glass is a secret hidden in the casket of Venice lagoon.Glass is the most popular and distinctive souvenirs of Venice. The best place to be able to admire the workmanship and make purchases is the island of Murano where it is processed by the thirteenth century. For more than one thousand years, the island of Murano has been famous in the world for its magnificent glass industry and its peculiar products, appreciated everywhere in the world. The first written document about a glass furnace in Venice goes back to the year 982 AD, where for the first time the name of a glass gaffer, is mentioned . In the year 1295 the “Serenissima” imposed the removal of all furnaces from Venice to the island of Murano, because of the fear of fires that many times had destroyed wood buildings in the city. This is how the first furnaces where estabilished along Fondamenta dei Vetrai. Soon the glass produced on the Island of Murano, became a prestigious product for la “Serenissima”, which tried to protect it and defend it in any possible way. The composition formulas were written in secret books, and handed down from the father to the son, a tradition that is still alive today.To be a glass master was a privilege; among the not-nobly born, they were the only one who could marry the daughters of aristocracy. To see a Glass master moulding glass with fire, it is one of the most fascinating thing one can see. Shapes are born as if it was a magic: the fire, the blowing, the use of tongs, are the result of years of working and results of an art which has been passed from generation to generation for centuries. Murano glass is a secret hidden in the casket of Venice lagoon. The coloring, purity and reflexes of Murano glass, give emotions that can really transmit the deeper inside soul of our island. 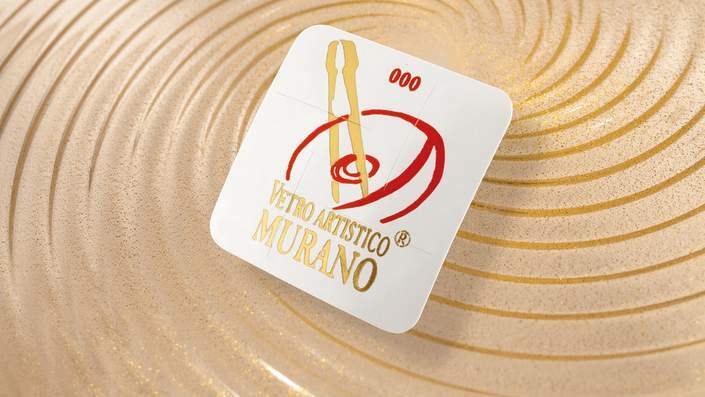 This is the reason why, when buying a glass object, you always have to check for the Vetro Artistico® Murano trademark, created by a law of the Regione del Veneto (regional council). A generic “Made in Murano” is not enough. When one talk about luxury, glamour, uniqueness, good taste and refinement, he also has to talk about “Made In Italy”, and Murano Glass is a fundamental part of it. Our glass involves more than one aspects, as the luxury to have an exclusive piece and the pleasure of enjoying a connection with tradition and past. Murano’s richness is based on men, those very same men who invented new colorings, and those who developed an incredible skill to mould the hot glass. Murano Glass is a way of life, 100% Italian, based on elegance and taste for details. The Murano glass master’s movements and his ability to become part of the material he is working on, are the real guarantee of a timeless object. Store located near Piazza San Marco, we work with different GlassMaster , specialized in vases, goblets, lamps, chandeliers, and various objects for decor.